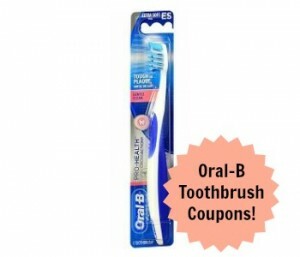 Home > Printable Coupons > Oral-B Coupons | Cheap Toothbrushes at Kroger & Walmart! Oral-B Coupons | Cheap Toothbrushes at Kroger & Walmart! Get your printers fired up for these new Oral-B coupons! These are part of the Kroger Mega Sale, so get the price below when you buy (4) participating items. Check out the sale ad for the complete list!